UV resistant plastic with premium grade stainless steel spikes. For use on window sills, ledges, pipes, fences and surfaces on which nuisance birds typically land. 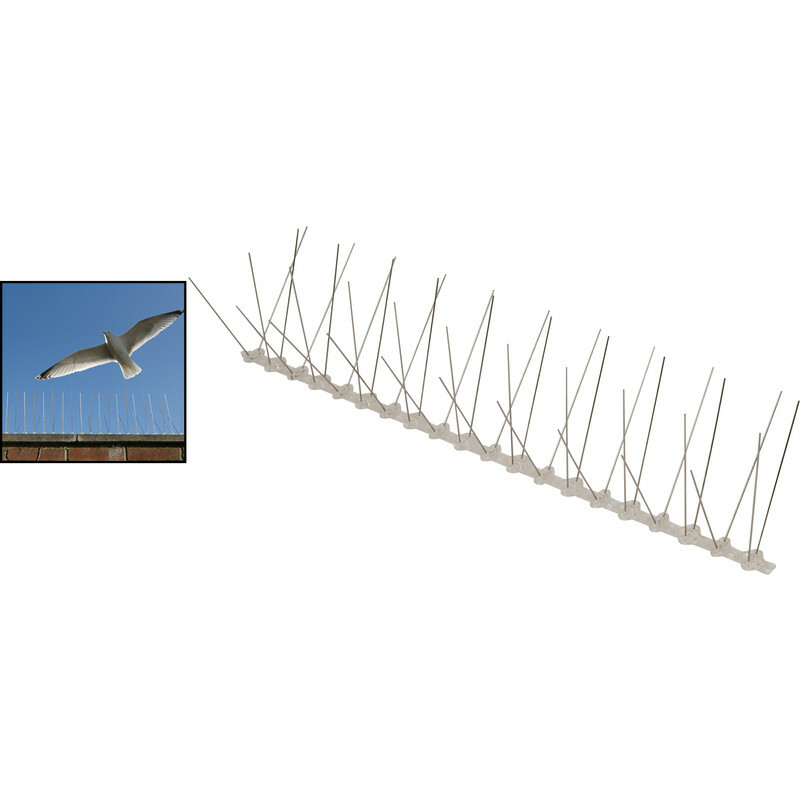 Pest-Stop Professional Bird Spikes 50cm (10 Pack) is rated 4.7 out of 5 by 6. Rated 5 out of 5 by Glen p from Exactly as you want it Works great, solid design that has strong spikes. Rated 5 out of 5 by Handyman 120 from Keep those pesky pigeons away Bought these to keep the flying pests away from sitting and pooping all over the fence etc. work perfectly. pricey but the work! Rated 5 out of 5 by JohnL from Bought for conservatortory roof.] I bought bird spikes for our conservatory roof and had it fitted during the construction. It was a perfect fit for sliding into the top channel replacing the over elaborate Victorian finials. No bird droppings on glass so far. Rated 5 out of 5 by dai boy from well made I bought these recently and they did exactly as they were supposed to do.